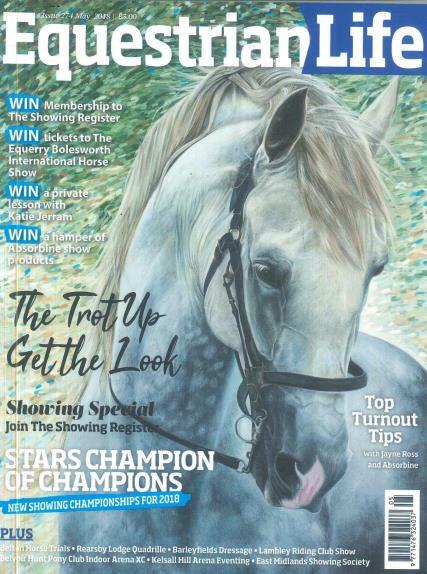 Equestrian Life is a leading magazine published in the UK, which fundamentally aims at providing information about horses in the region of the East Midlands. Buy a single copy or subscription to Equestrian Life magazine. The first issue of Equestrian Life magazine was launched in the year 2005. Since, its launch, the magazine has become a personal favorite of many horse riding fanatics. It is a great source of information about the distinct products and equipments used for riding the horse. The articles presented in the magazine, disclose the reviews on the latest equipments available for horse riding in the market. The readers adopt this section as a means for getting acquainted with the new and innovative products. The reviews of the kits used in horse riding competition are one of the most read sections of the magazine. The horse racing enthusiasts are just in love with each and every page of this magazine.